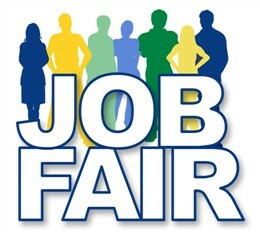 The 15th District job fair will be held 3 to 4:30 p.m. Oct. 24 at Adams and Cicero. 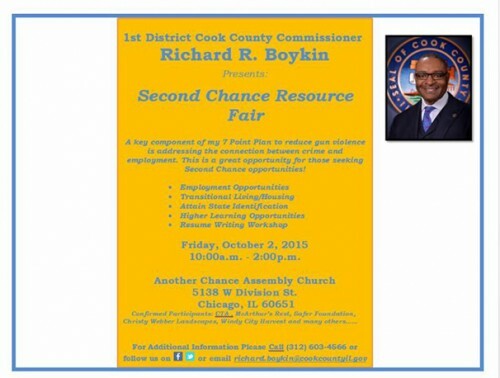 Cook County Commissioner Richard Boykin is hosting the free event from 10 a.m. to 2 p.m. Oct. 2 at Another Chance Assembly Church, 5138 W. Division St. Hiring managers will be on site Feb. 28 at the Peace Corner Youth Center, 5022 W. Madison St., from 10 a.m. to 1 p.m. The two-day event – July 22 and July 29th – will be held at Prosser High School. Participants must attend both days.